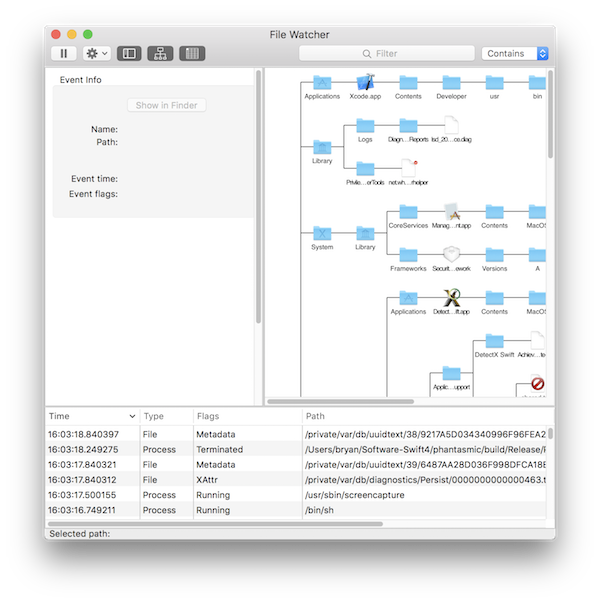 FileWatcher is a utility that listens to the operating system event monitor and reports changes to files on your system. You can view the event monitor log and see a visualisation of the file system as a tree structure. Entries in the log and tree will be either changes to files such as file creation, renaming and deletion or as running process and terminated processes. 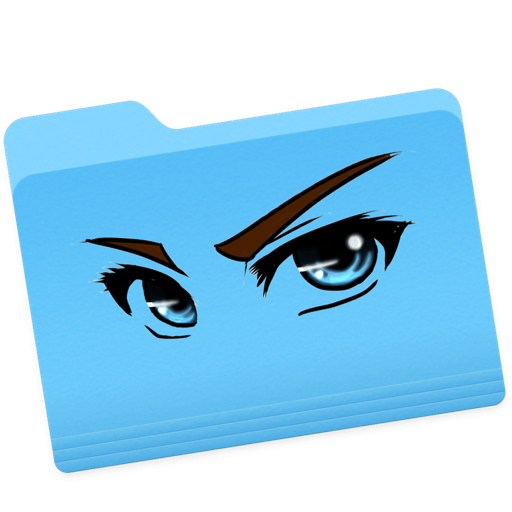 The file icons in the tree will be overlaid with a symbol indicationg these events. On first run you will be prompted for your system administrator credentials. FileWatcher requires a small privileged helper program for access to private system directories and processes. Compatibility problem with maxOS 10.12 (Sierra). FileWatcher is notarised by Apple.